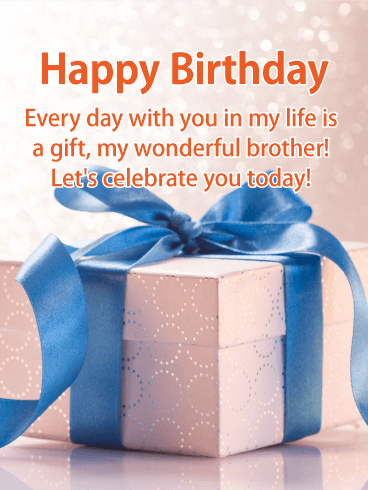 Make today one of your brother's favorite birthdays with this glorious card! Only the best will do for your brother, which is of course why you got him the shiniest, most shimmering present ever. After all, there is no one in the world like your brother. He makes you laugh. Supports you. Helps you prank your parents. He deserves a spectacular day, full of gifts and love. 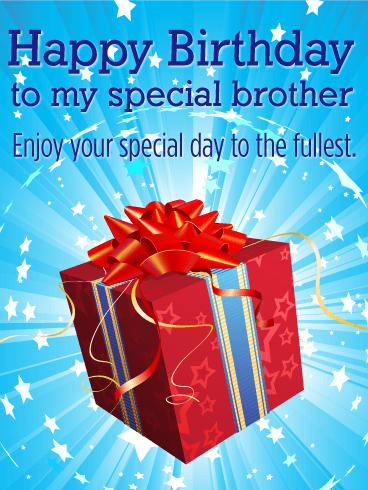 Make sure he gets it by sending your brother this birthday card of joy. The first thing you'll notice about this birthday card is the soft, subtle colors, but it's so much more than that. In addition to the gorgeous contrasting hues, this gem offers up a sweet sentiment that is also a play on the word "gift." 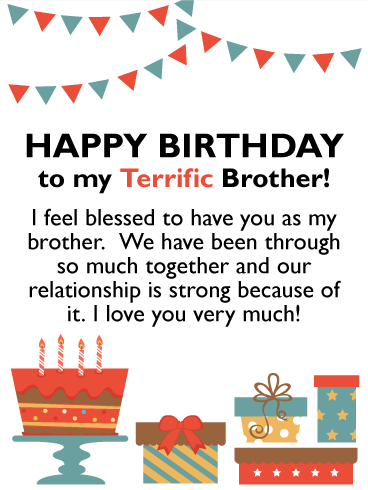 If you want to let your brother know just how much he means for you within getting too sappy, definitely snag this birthday card! Who knows what this birthday will bring your brother? Hope it is full of big surprises! 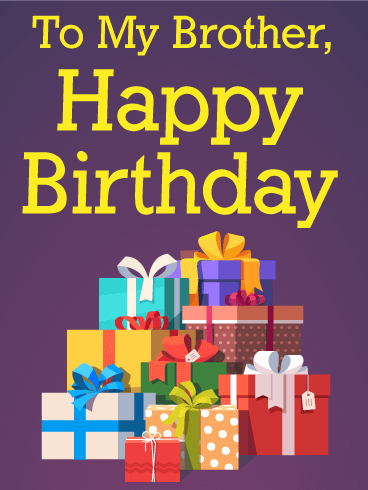 This retro birthday greeting card is a fun way to celebrate your brother's birthday. Send him a birthday card today; it's fast, easy, super thoughtful, and just good, clean fun! 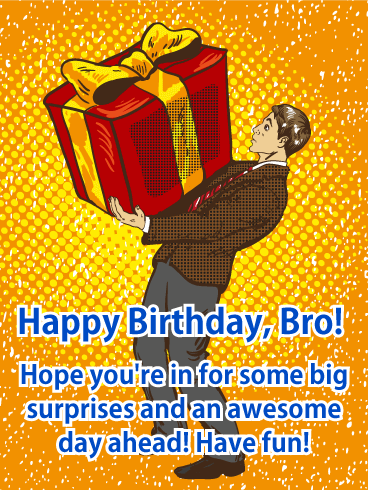 Wish your brother an awesome birthday and send this classic comic style card today. What is your brother's favorite part of his birthday celebrations? Does he love the cake, party, or presents most? 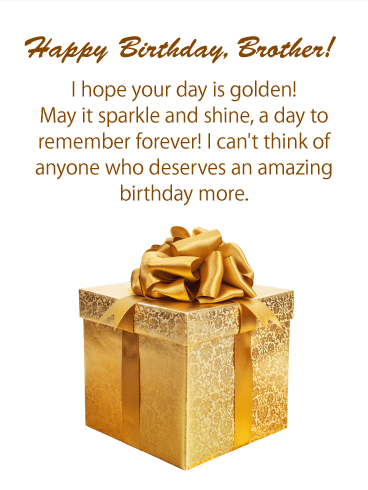 This year, make your Happy Birthday card the best part of his day! 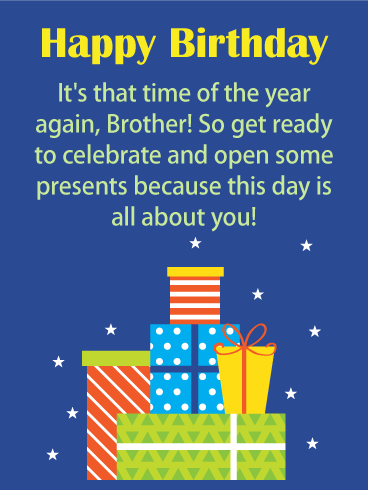 This colorful card features a large pile of presents, each one meant for your brother! 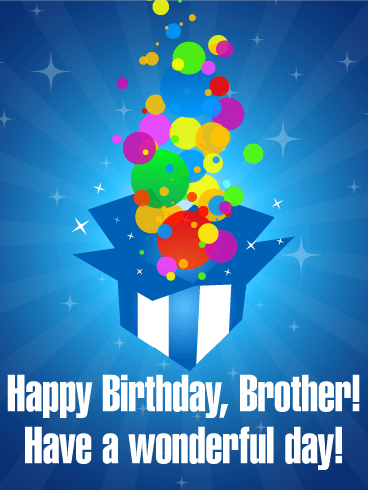 Help your brother have an incredible birthday with this fun, gift-filled birthday card! Do you have a brother who is the center of your world? Do you want to let him know how much you care about him? His birthday is the perfect time to tell him! 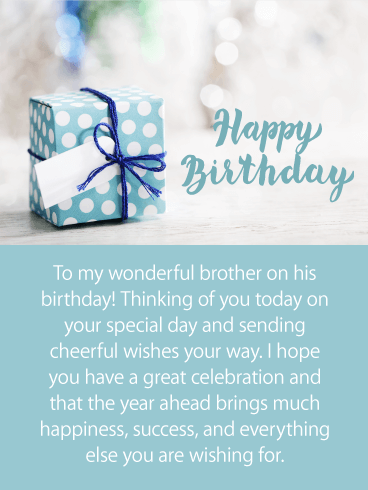 This Happy Birthday card shows a beautifully wrapped present at the center of a globe of stars - the perfect way to show your brother how much you love him! The best birthdays are full of surprises! Whether you get surprised by a party, presents, or fun, birthdays are an exciting time. 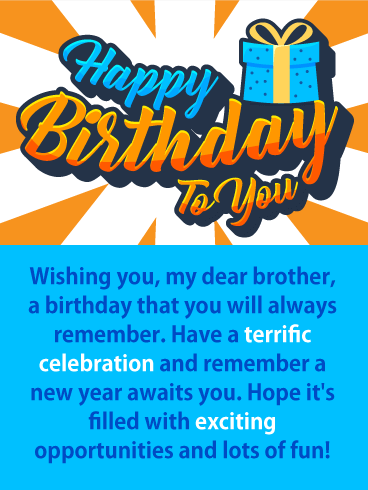 This year, surprise your brother with this exciting Happy Birthday card! The colorful dots and sparkles burst from the striped present, filling the card with birthday magic! 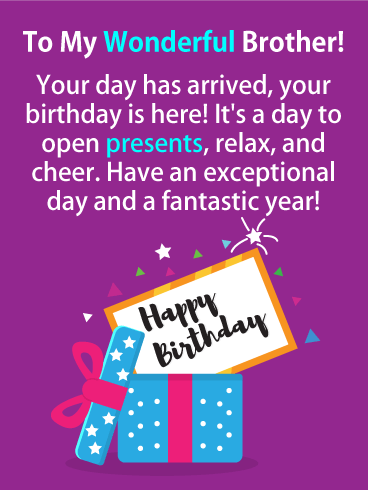 Wish your brother a "Happy Birthday" with this fun birthday card today!